Superdry men’s Blackstone crew jumper. Perfect for this season, the Blackstone crew will be sure to keep you warm. 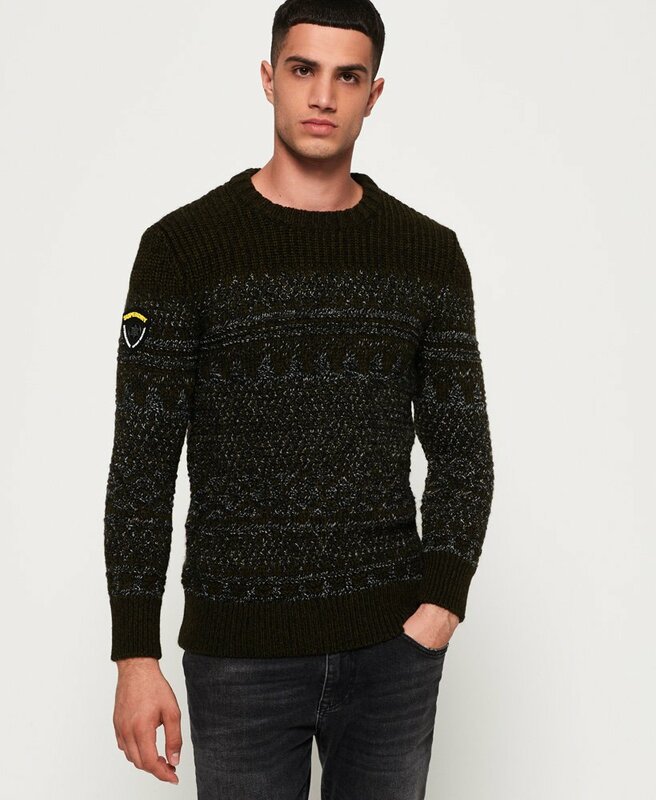 Featuring a ribbed hem and cuffs for added comfort and a rubber Superdry logo badge on the arm. Complete the look with a pair of jeans and Chelsea boots.